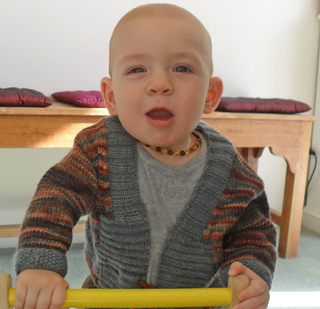 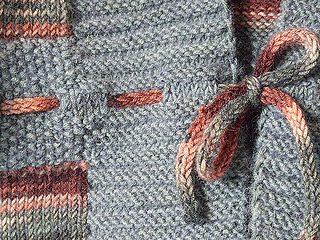 This kimono style cardiagn ties in front with an i-cord tie which is threaded through the fronts and tacked down at the back for safety, the i-cord provides a lovely contrast to the sash section of the garment. 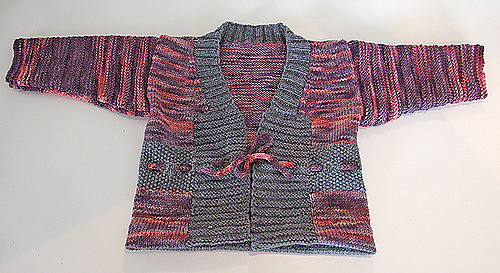 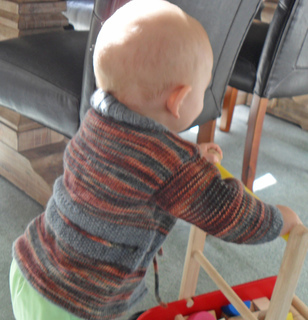 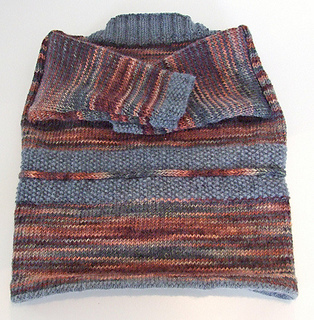 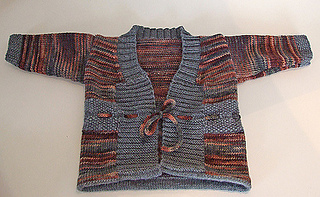 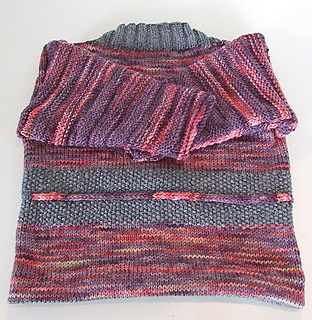 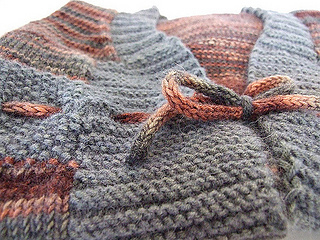 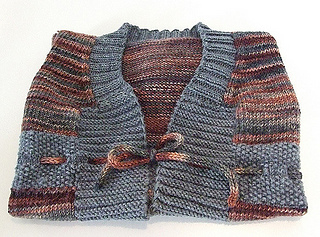 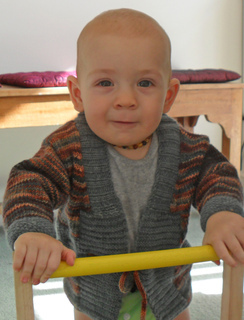 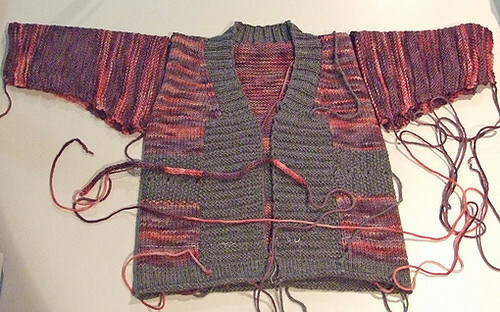 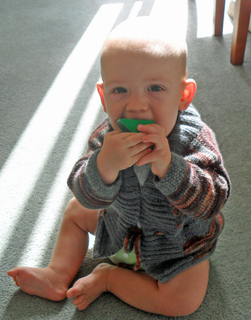 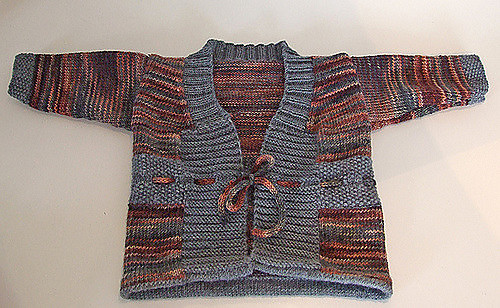 The jacket is worked in stocking stitch, moss (seed) stitch and reverse stocking stitch stripes, and makes good use of handpainted yarn for the Main Yarn, a solid or semi-solid is used as the Contrast Yarn. 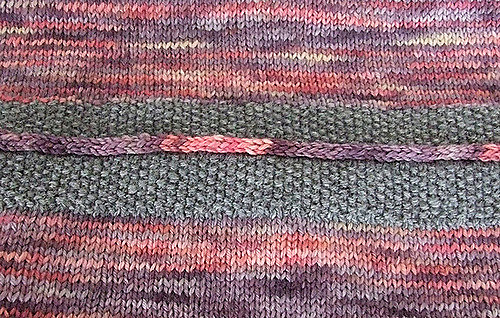 Instructions for 2 sleeve styles are included - 1 is a stocking stitch stripe sleeve - echoing the stripes on the front of the garment - this sleeve can be made longer or shorter with pressing, the other sleeve style is stocking stitch with a moss (seed) stitch wristband.